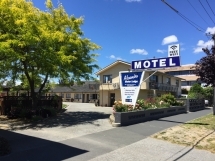 Alexandra Motor Lodge offers you a warm welcome to our centrally located, spacious, comfortable, centrally heated studio, 1 and 2-bedroom motel units. Our Alexandra accommodation is ideal for corporates, families or groups. Stay with us and experience true Central Otago hospitality. Under new management, 2012.